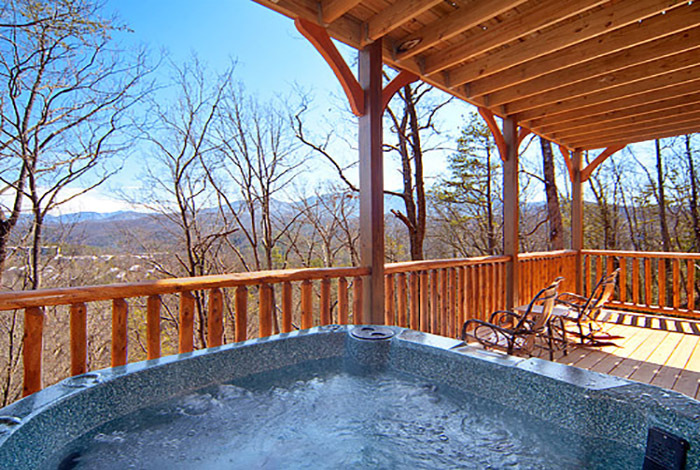 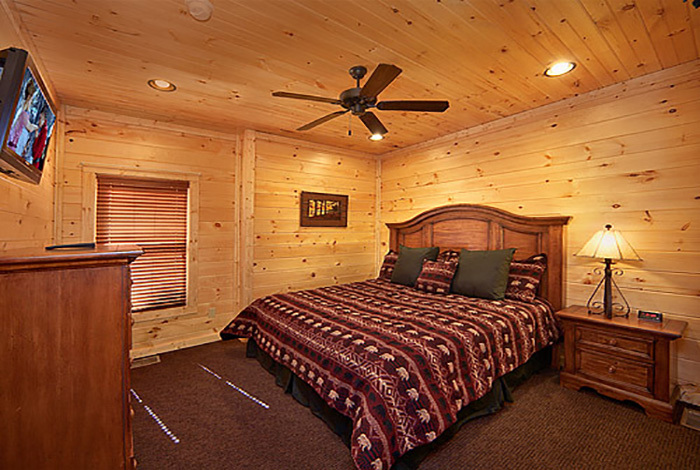 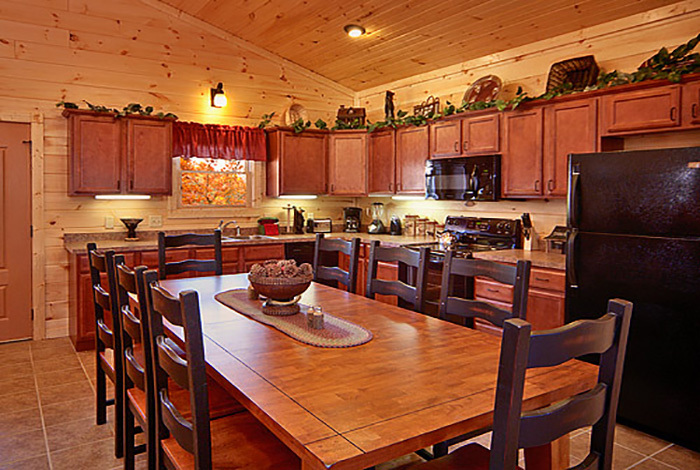 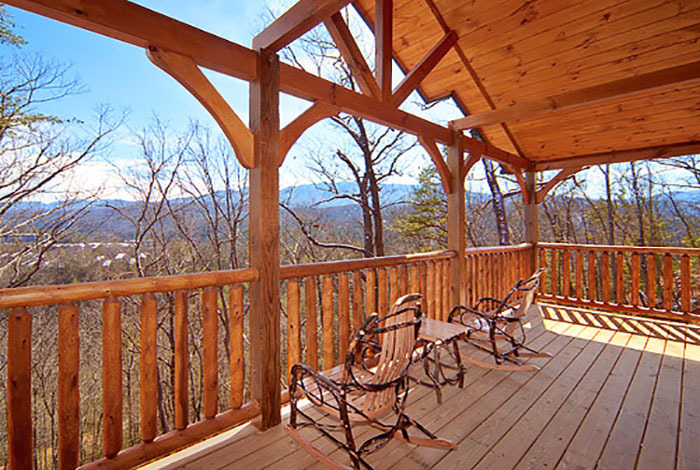 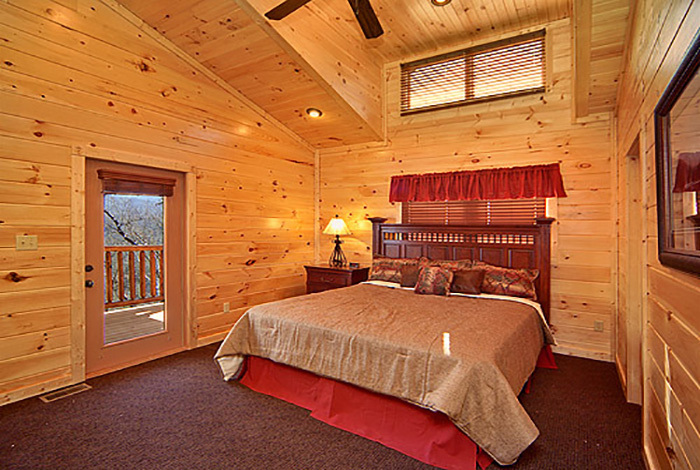 Life can be stressful, and that’s why we have The Smoky Mountain cabin reserved for you. 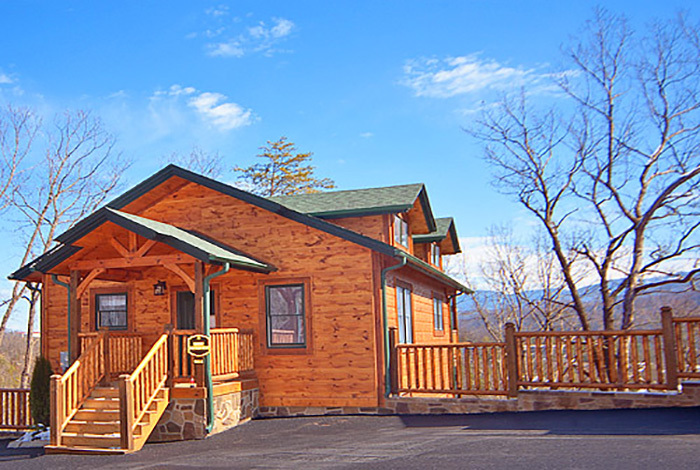 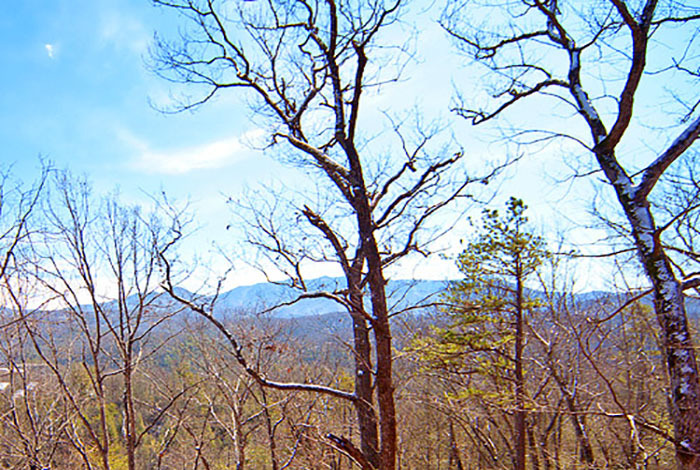 Sit back and enjoy the gorgeous mountain views in this 2 bedroom and 2 bathroom cabin just 5 minutes from downtown Gatlinburg and 15 minutes from Pigeon Forge. 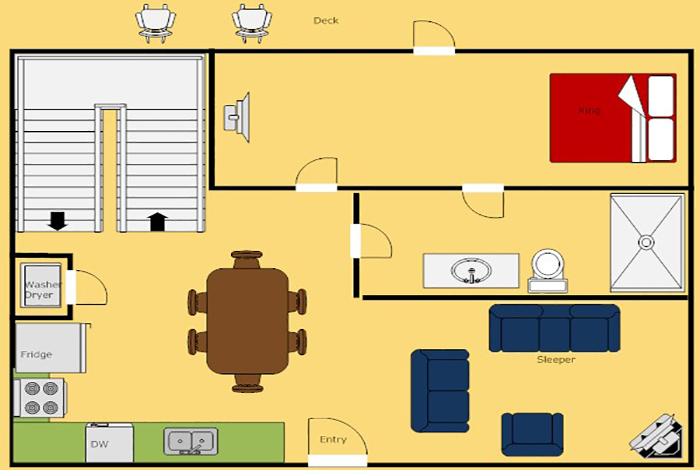 It will accommodate 8 people with 2 king beds and 2 queen sleepers. 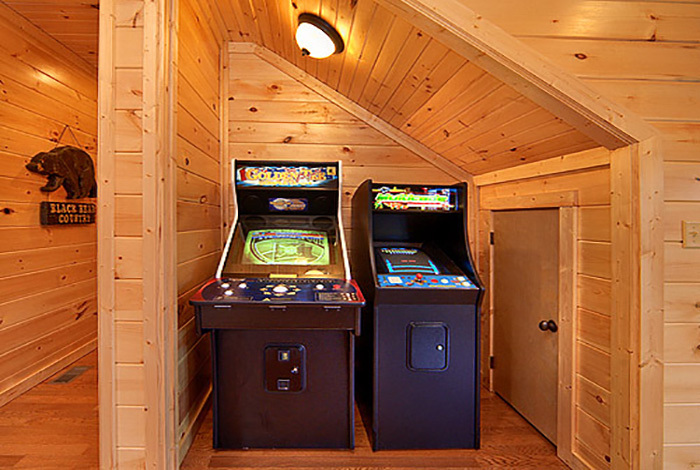 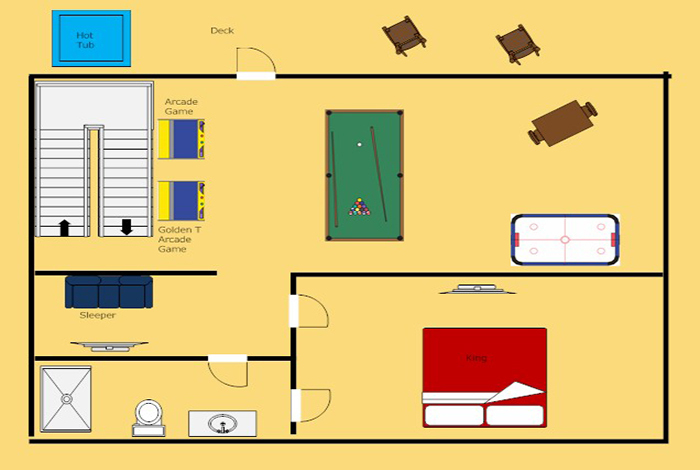 You can’t go wrong with entertainment, so that’s why we have included a pool table, air hockey, golden tee, home theater, and arcade games in the cabin. 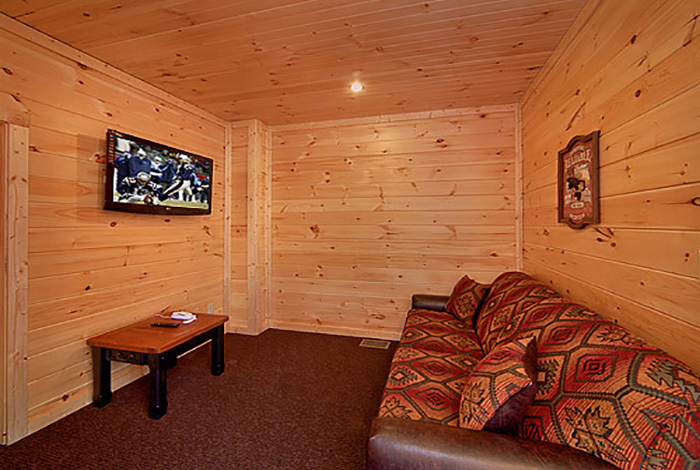 Not to mention free Wi-Fi access along with an HD TV. 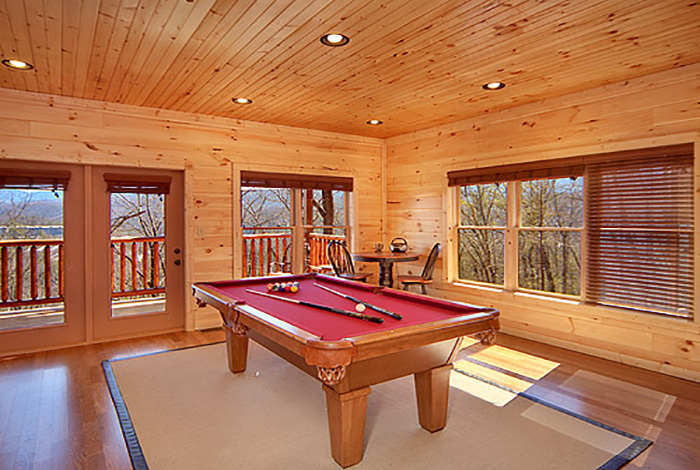 If you’re staying during the summer months, then take advantage of the free pool access just down the road from your cabin. 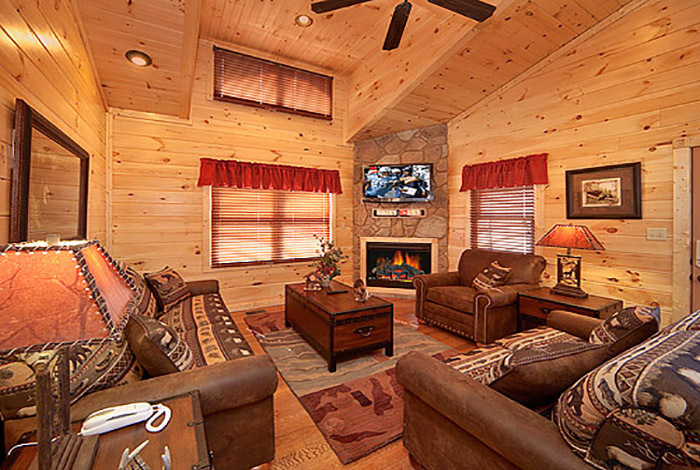 You can’t go wrong with the Smoky Mountain High cabin!